Willie Nile's one of those artist who's name I am familiar with but can't recall why. He's been around since the 80's and I might have seen his name or even heard him play at Folk City eons ago. I honestly don't remember why his name rang a bell. 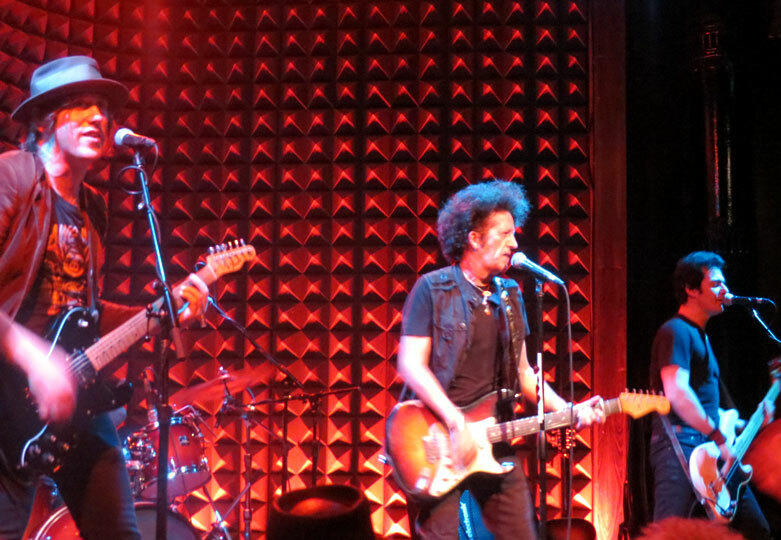 But which ever little voice compelled me to go see Willie Nile on Thursday night, I'm glad I listened. 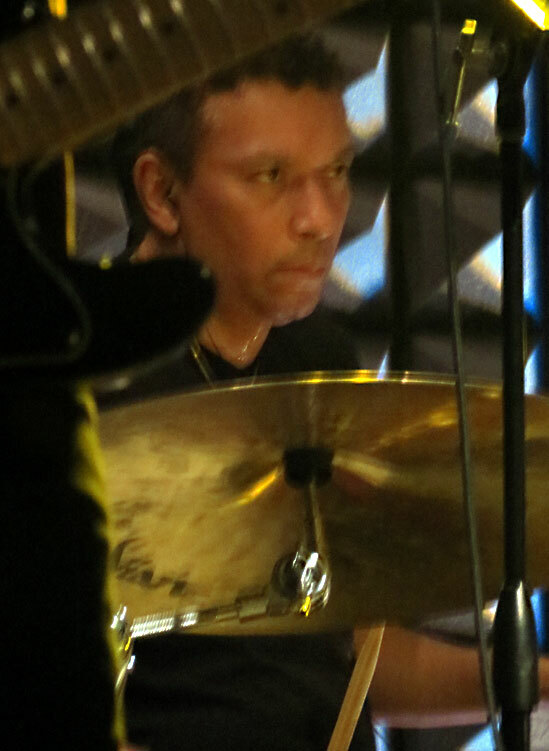 At 64, Nile made the performance he gave for 90 minutes look like he was shooting the breeze. Being 10 years his junior, I kept thinking, I want to be just like him when I grow up. Nile is approximately twice the age of most of his band members but he carries the show. 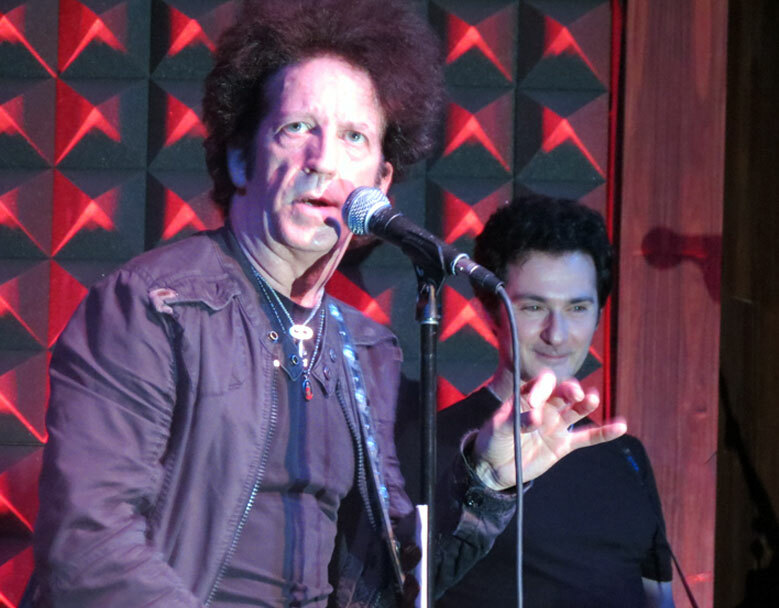 I don't mean to be going on about Willie Nile's age but I was impressed by the way he's still rocking and looking toward the future. 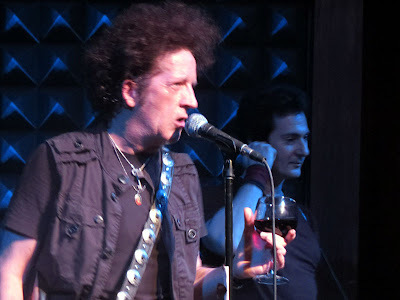 Niles started the show with "Sing Me Song" from his first album in 1980 and continued with songs spanning the length of his career up to and including his forthcoming CD. 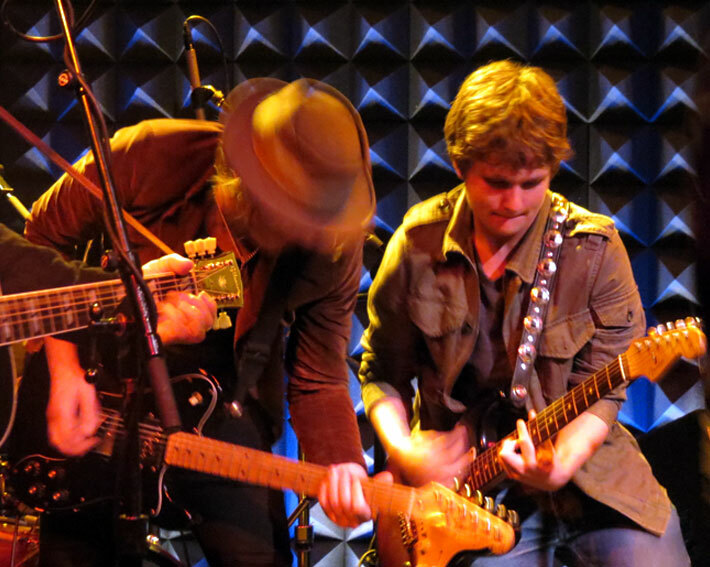 After dedicating the evening's performance to his friend Levon Helm of The Band who died in April of this year, Nile and his band began the set with grinding guitars that sounded like a locomotive going down the track. Ending the first song, with a prolonged finish as if it were their last, the boys directly followed it up with "Singin' Bells." A guy at my table said "they wasted no time" as if to say that in terms of energy the band went from zero to a hundred as soon as they started playing. 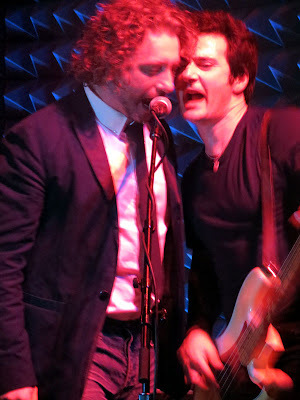 For that second song, bass player Johnny Pisano joined in on harmony as Nile sang the chorus. Niles introduced the next song by saying "this is for all the innocent children around the world. 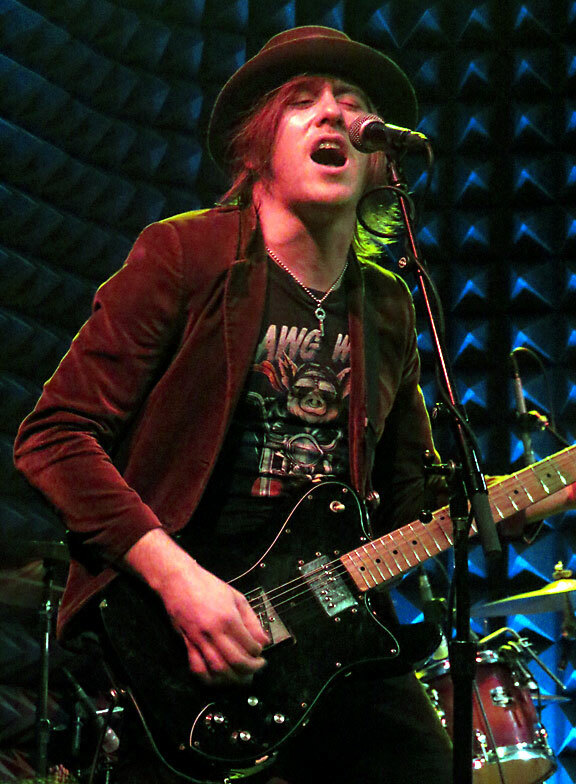 "This time, guitarist Matt Hogan joined Nile and Pisano singing the marching chorus in unison. The hatted Hogan kept strumming his power chords and raising his right arm as if he were holding a sword. Before concluding the song Hogan and Nile echoed each other by shouting "hey" several times. Nile introduced the band, saving himself for last, stating "I'm Marlon Brando and this is "Heaven Help The Lonely." There's a video on YOUTUBE of Nile and the band along with Bruce Springsteen at Asbury Park performing the song. Apparently, both artists are friends and have worked together in the past. 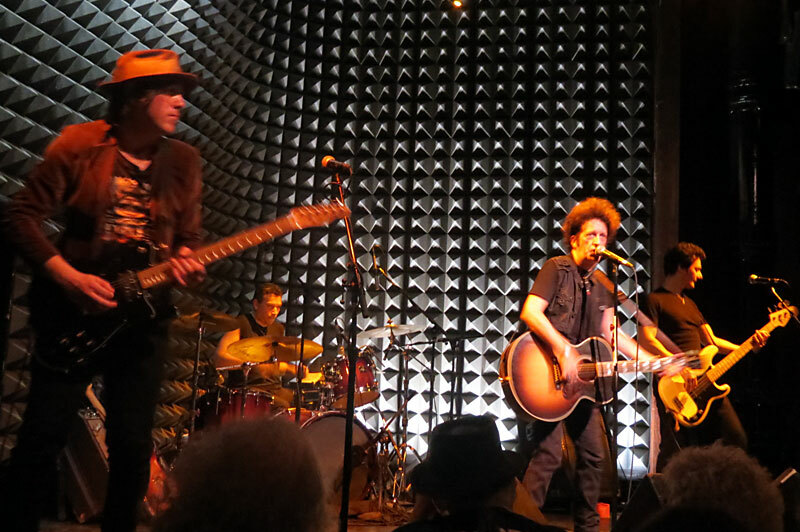 Nile is on the opening track ,"We Take Care of Our Own," of Springsteen's new recording Wrecking Ball. There were three new songs from Niles upcoming recording which I believe will be called "American Ride," because when he later did the song he introduced it as the title cut. 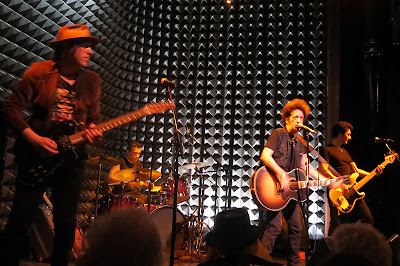 Out of the three new songs Nile performed I liked "Life on Bleeker Street" the best because of it's descriptive and personal quality. Nile did something novel that I haven't heard any other artist do. 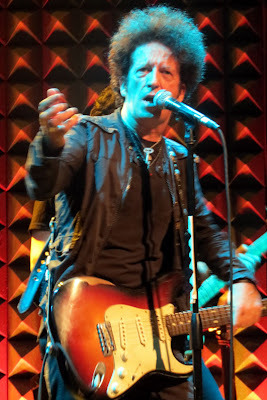 He told the audience that it was okay to record him doing his new material, but asked them not to put it up on YOUTUBE. He mentioned that he had just come back from Spain and the UK where they respected his request. The reason he sited for his request was that he wanted the new material to feel fresh once it's released. I'm on the fence concerning Nile's setup for his new song "Holy War." (In fact it's my only small quibble.) He explained the song is written about his anger toward terrorists who blow themselves up and take innocent people with them. (He didn't use the word "terrorists - he said "people") And even though Nile explained his song's sentiment, I wish he hadn't. I think less said prior to the song would have made it more powerful. 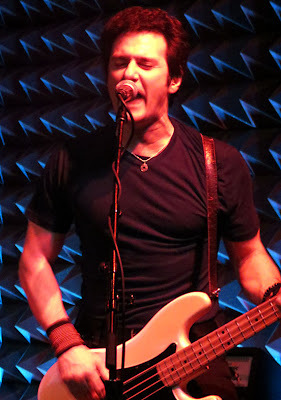 "Golden Down" was a song that Nile said he had never done live before. He wasn't even sure whether it was in the key of C or D. He said he wrote it with his friend Frankie Lee with Tom Petty in mind. 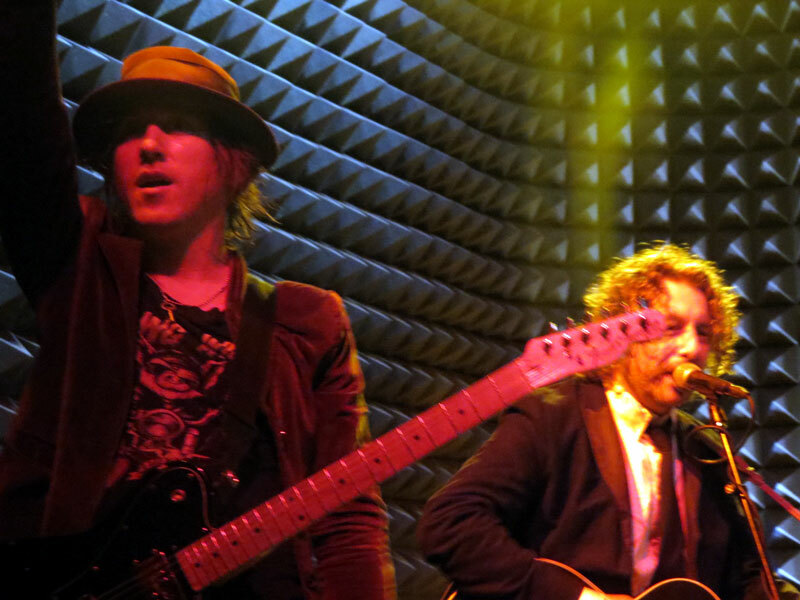 Once Nile did the song, Nile sounded like Tom Petty, who was in the house at least in spirit. The guy sitting next to me whispered that was pretty good for never having been done live before. One of the things that most impressed me about Willie Nile was how he made sure that he, the band and audience, all had fun. Part of the way he achieved that was by including old favorites and covers like Buddy Holly's "I'm Gonna Love You Too" and Jim Carroll's "People Who Died." 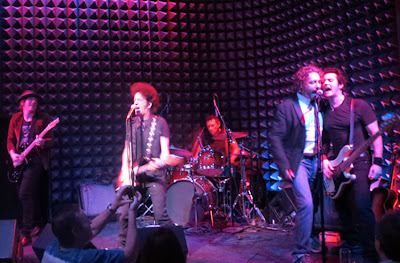 Later, Nile's encore included some classic rock (I hate that classification but you know what I mean!) like "Hard Days Night" and "Satisfaction." Songwriter,guitarist and former frontman for the band Wood, James Maddock, joined Willie Nile on stage for the last three songs of the show. By that point, audience members sang, danced and applauded with standing ovations at the end of each song. A young guy got on stage and sang "Hard Day's Night" along with Johnny Pisano. He later joined in on "Satisfaction" but this time played guitar as well as sang. I have no idea whether he was a friend of the band or if he just jumped up on stage. Whatever the case, I guess you get the picture - it was a good time for one and all. 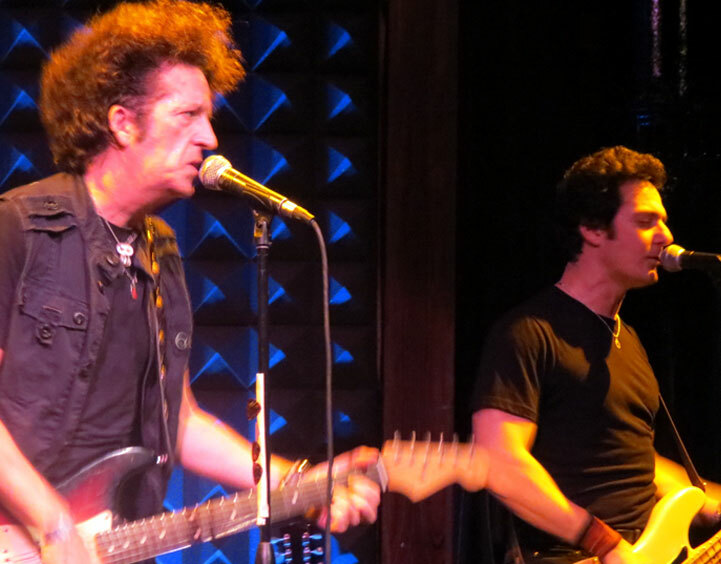 Willie Nile and his band will be back at Joe's Pub on July 5th and 6th as a part of The CBGB's festival.